Quote Reply Topic: MAP sensor? 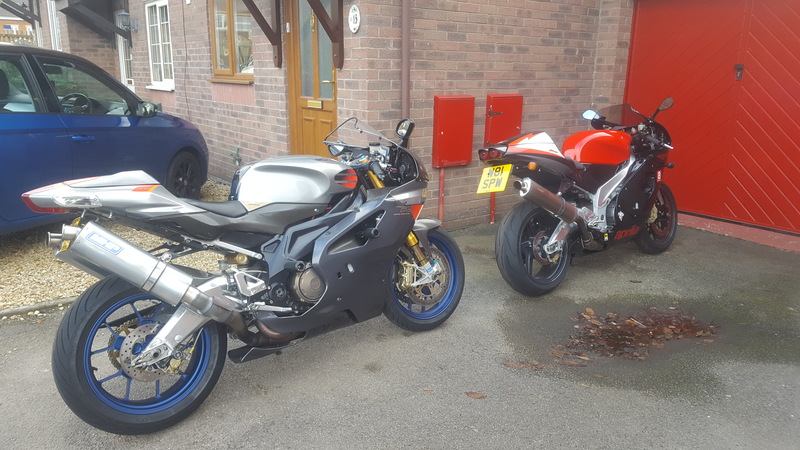 hi everyone, I'm new to the forum and to aprilia. Ive recently bought a 2005 factory rsv. It' awesome. Apart from t sometimes stalls when pulling up to traffic lights or junctions and when on a spirited ride the other day it suddenly started to feel like it wasn' getting enough fuel, like it was being starved when openig the throttle. Too-ing and frowing. So I pulled over for a coffee and let it cool, when strangely a guy walked past, stopped to admire it and mentioned he once had one and then described the problems I'd recently had ending with it had to have a MAP sensor under the seat replaced as when they get hot they can sometimes cause it to fail. Is this right or is there something I'm missing? personally never heard of a map sensor do that and it’s also not under the seat. The atmosphere sensor is but they rarely fail either. For stalling I would be getting the tb’s balanced and checking the vac pipes to the map sensor before throwing parts at it.